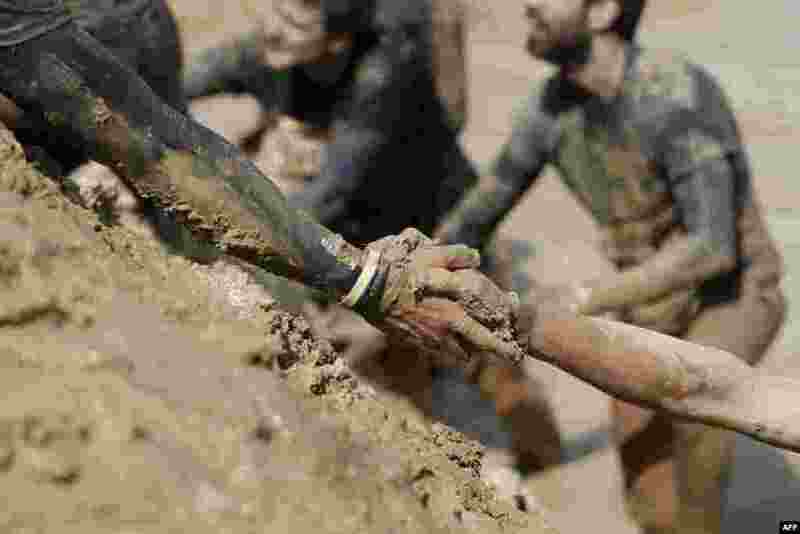 5 A participant assists another up a hill during the Mud Day Paris 2017 obstacle course in Beynes, France, April 29, 2017. 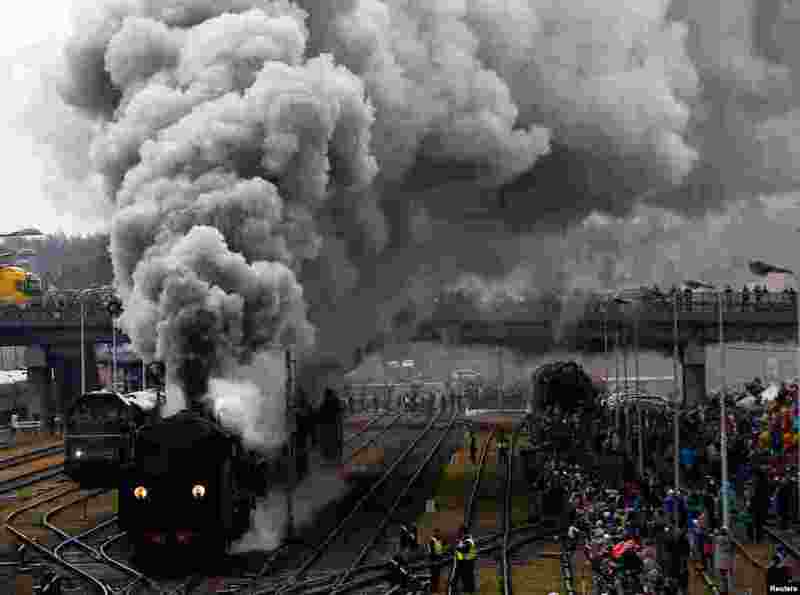 6 Steam engines ride during the 24th Steam Engine Parade in Wolsztyn, Poland, April 29, 2017. 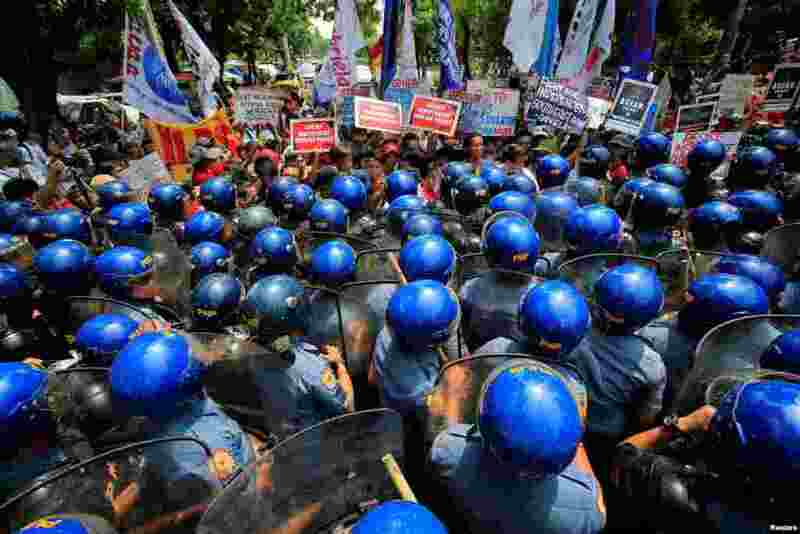 7 Anti-riot police block demonstrators attempting to march toward the Philippine International Convention Center, which is the venue of the Association of Southeast Asian Nations (ASEAN) Summit in metro Manila, Philippines, April 29, 2017. 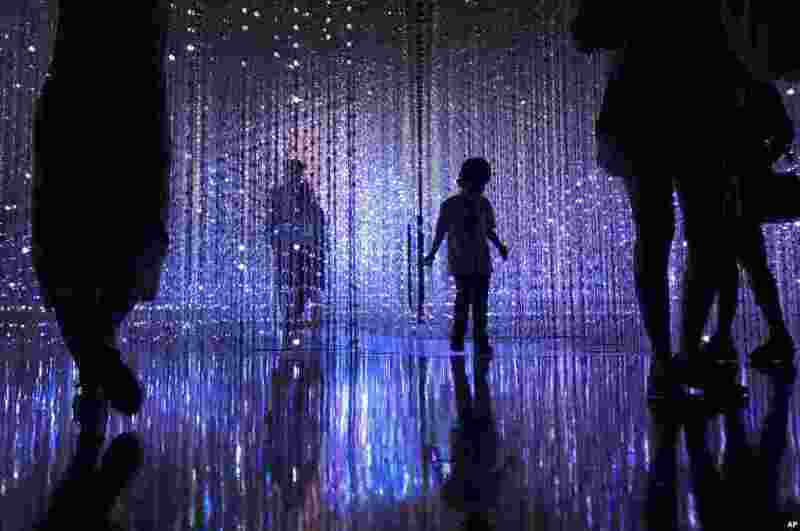 8 A young boy is seen in silhouette as he walks through a light installation in Singapore.